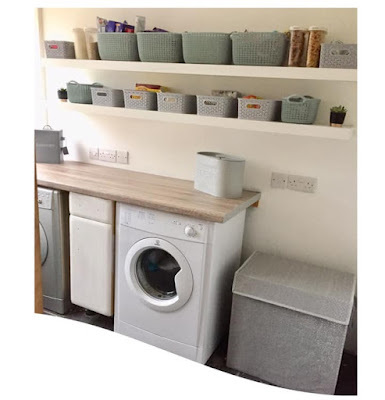 Mum of Five Staying Sane: The staying sane house has been taken over by Activision's Skylanders trap team & an FGeeTV & SkylanderBoy AndGirl Youtube obsession!. The staying sane house has been taken over by Activision's Skylanders trap team & an FGeeTV & SkylanderBoy AndGirl Youtube obsession!. A few months ago we decided to buy our first ever Skylanders starter kit. Having never seen or played the game before we were unsure of what we were letting ourselves in for, maybe we should have researched first! 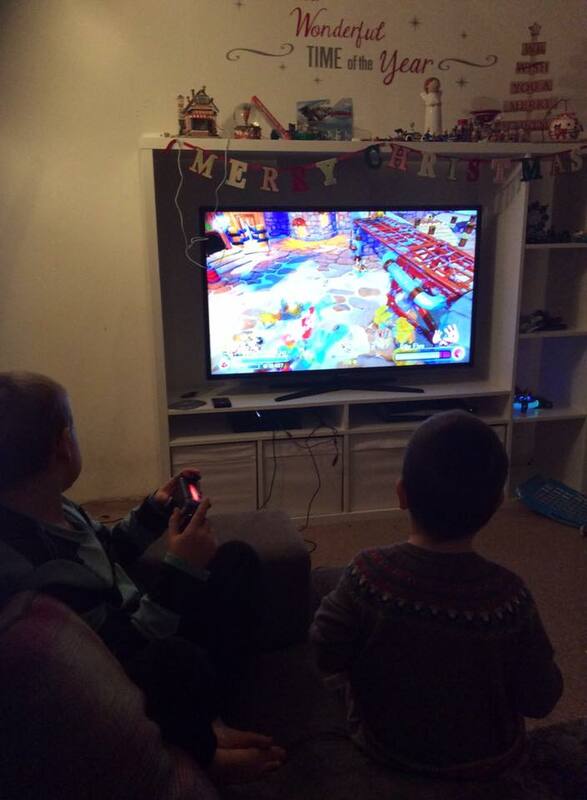 It was a big hit with Thing 4, aged 6 years old, as soon as he started playing Skylanders trap team and it has been ever since. 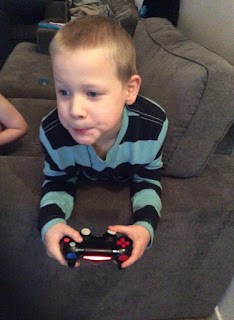 Even Thing 5 at age 3 years loves playing the game (game sold as not suitable for under 7s and for use under adult supervision) and loves playing in single player and multiplayer mode with his brother. Multiplayer mode consists of both Skylanders being on the same screen rather than going into split screen mode like some games do. The Skylanders can only be a certain distance apart though and the Things do sometimes get a little frustrated if they both want to go somewhere different but it's great that they have to work together and sometimes come to a compromise when playing and working together. 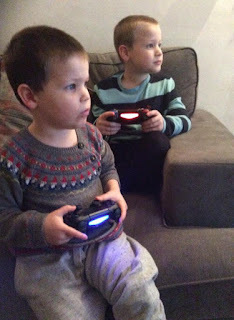 Things 4 and 5 playing Skylanders together aka SkylanderBoyz! Skylanders trap team is just one in a long line of Skylanders games and the starter kit includes the traptanium portal, two Skylanders figures and 2 traps. Once in game play the different Skylanders can be placed on the traptanium portal to be used as a character by the player. You can swap between different Skylanders throughout game play for different strengths, powers and elements. As you progress through the game you can defeat various villians which are then trapped within the corresponding elemental trap that is placed in the traptanium portal and then you can also play as those characters once you have trapped them. You can only trap one villain per elemental trap so you can either purchase lots of them so you can trap all of your villains so they are at hand ready to use in game play or there is the villain vault within the game which allows you to store your villains and swap between them. Skylanders has been a big hit in our house. We started out not knowing anything about the game and it was very easy to set up, use and understand even for the younger players. 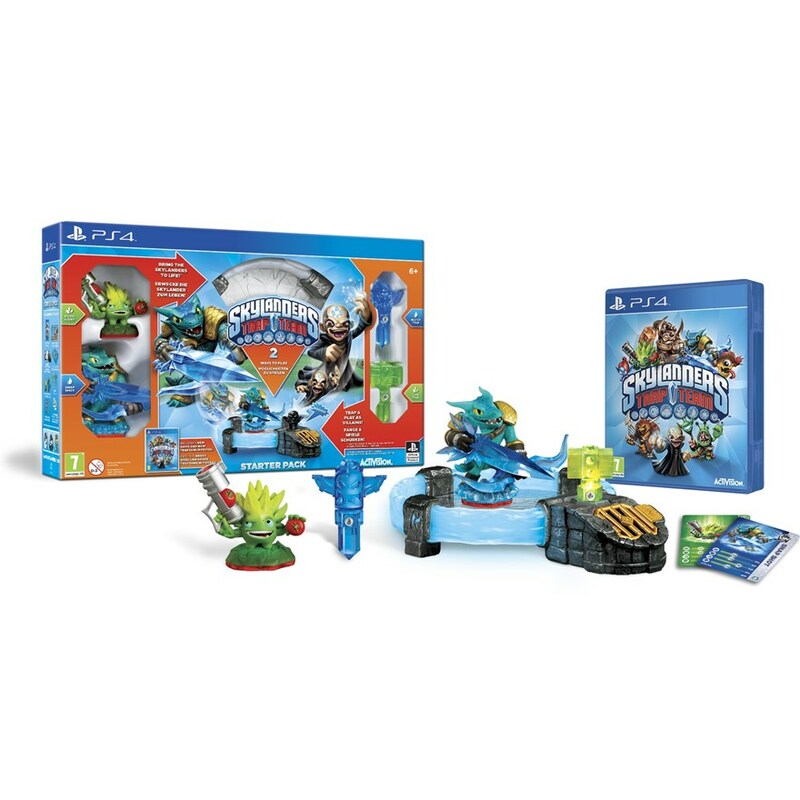 Game play can be expanded by purchasing all of the different Skylander figures and trap master figures can be used to unlock corresponding elemental gates throughout the game. We have collected a vast array of figures since our first purchase. Figures from the older Skylanders can be used in this game too but figures from the newest Skylanders Superchargers game can not be used. There are so many Skylanders figures to collect and use all with different elemental powers and strengths. As you go through the game you are told that some Skylanders are stronger in some zones than others, it's easy to swap between Skylanders during gameplay. Thing 4 concentrating on the game! Following on from our purchase the children love watching Youtube videos of people playing Skylanders. It is fun for them and can also help if they get stuck on a particular part and need to know how to do something. Their favourite is FGeeTV aka SkylanderDad and SkylanderBoy AndGirl! We have spent many hours watching them play Skylanders as well as many other videos that they put on Youtube. I am now called Skylander Mum every time the children talk to me! Both YouTube channels are great for gameplay videos, walkthroughs, looking at new Skylanders etc.... I think the children also like to watch SkylanderBoy AndGirl as it's easy to follow gameplay, they can relate to the children, it's not all serious and boring just telling you how to do something so it's fun and holds their attention so they can see what they need to do, what Skylanders they need etc... As well as lots of fun videos to watch too. 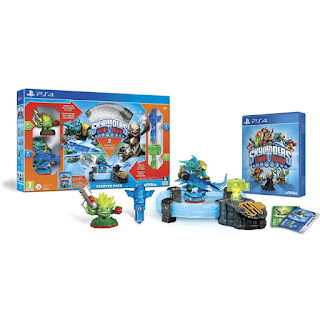 Skylanders trap team starter kit starts at around £24.99 and is available across many of the games consoles including Playstation 3 and 4, Xbox 360, Wii and more. It has a PEGI rating of 7, we have allowed Thing 4 (aged 6) and Thing 5 (aged 3) to play under our supervision and for limited time periods. We found it very easy to master for the younger ones and a fab game.